August was a fast-paced month, as per usual in these times. The energies I read for the month came in at the last minute, as I was told, “not yet,” when I would check in to prepare. When the information came in, I was shown a Blank Slate, and it came with palpable joy and excitement from my Guides. I was told that so many had shifted within, that we were at a new potential, a resetting of our timeline. This is not obvious to most, it is subtle information. It is forming within, not yet visible. That is where real change begins. Thank you for all the internal shifting you’ve been doing. Critical mass is being affected. Let’s take this back a little farther. December 21, 2012 was a point in time that marked us moving into the supportive energies of a building phase as we moved through the Galactic Center. A reset point in many ways as well. It was a marker point, not the end-all-be-all of Ascension. Kind of like a wedding isn’t the entire marriage. 2013 wasn’t the easiest of years energetically. Areon called it a year of release, as we adjusted to the influx of energy that alignment with the Galactic Center brought. In 2013, there was a lot of brain changes happening that were unnoticeable from a mainstream perspective. Perhaps not even noticeable much at the time. 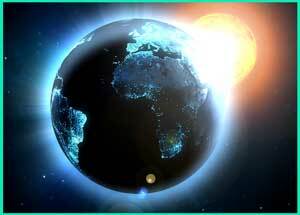 However, many more people are intuitively and consciously awake because of those changes. Near the end of 2013, just after the solstice, I heard very clearly that the balance of power had shifted. The negative forces no longer had the same power. This occurred without much fanfare, yet it was a momentous event that we are still working with as destructive structures break down. Again, not obvious in the real world, as things shift in the subtle first, then build into form. Of course, the pace isn’t as fast as we’d like, but it is occurring in the most appropriate way for the progress of humanity as a whole. Since 2014 we’ve been working intently within on establishing our inner empowerment with a strong foundation of Love. 2016 is a Year of Clarity as we refine our vibrational resonance into an emanation of enlightened Love. Not always easy, but necessary as humanity evolves into a genuinely united species. Again, the pace isn’t always what we may want it to be, but it is appropriate. In August, that internal work we each did created the energy of a Blank Slate that offered a new path, a new trajectory. Again, this is a momentous event that will not necessarily be seen immediately. But its effects will be deep. For September the energies were presented with a vision of an influx of Light that strongly affects the frontal lobe of the brain. That is not the only effect, but it is a predominant effect. The frontal lobe deals mainly with conscience, higher reasoning of choice; moral and social decisions. It deals with discernment and the ability to connect similarities and differences. This is exciting! The positives of this indicate an upgrade in this functionality. After the energy of a Blank Slate in August, this is a powerful new step! For a few months now, Areon has been saying that we would begin to see more polarization with people, even Lightworkers. A polarization is just an extreme, a focus toward or away from something. Let’s explain this a little further, because it does not mean that we WILL polarize, it means that if the foundation within is not strong, one has the potential to avoid through polarization. Whereas something may have seemed fine before, if the foundation wasn’t strong, it may become obvious. We’re certainly seeing this potently with politics. That will continue to unravel as the structures that are harmful deconstruct to be able to rebuild into a sustainable, supportive structure. Change will continue. All the work that we have been doing, and its “job well done” indicator in August, has been well worth the effort. It supports us to maintain a path to the new. Do not feel like you must be perfect to hold that. Just authentic. You have everything you need within, even if a moment doesn’t feel like a solid foundation. The brain is a beautiful machine that best serves the connective nature of the heart. Brain changes have been happening since 2013 and that will continue. Some of the brain changes have opened many to intuitive connections, more potent visualization, or the ability to perceive potentials better. It may have times of integration that feel like you need more rest, water, protein, or distraction in the form of enjoyment. It will be extremely helpful to establish a meditation practice if you haven’t done so already. Some meditate through traditional quiet focus, others through movement, song, or play. Perhaps walking in nature, drawing, or journaling is a meditative process for you. Honor your way, stretch into some new ones, and support these powerful changes you are going through. 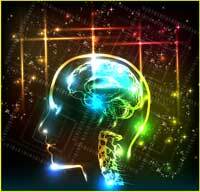 As we enhance the frontal lobe, your motivations and methods will become evident. Do you achieve through stress, creating cortisol-related chemicals? Or do you achieve through dopamine-related chemicals of joy and Love? Your body can handle some stress chemicals, they aren’t bad by nature. It is all a matter of balance. This time is about balancing into more ease with Life, using more of the powerful engine of the subtle realms to form new creation rather than all physical effort. You’re still participating with physical effort, just adding the momentum of unseen, subtle magnificence of Love. The passive force that compels new form through resonance rather than dominance. 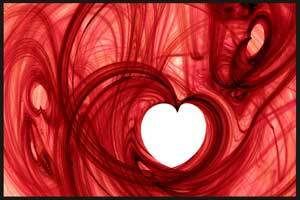 Also in recent months, we have been called to flow more of our energy, the resonance of Love, into the world. There is the internal aspect of this that is loving the Self, honoring the current experiences you are having, and coming into a state of empowered Love with all that you are experiencing, even as you create change. Sometimes leaving a situation is the loving choice, other times remaining in a situation is the loving choice, but always honoring yourself within the midst of challenge and triumph. That honors All. There is the internal action of prayer. As you observe the world, what others are experiencing, pray for Love, peace, and empowerment to prevail as appropriate for all. Not determining what they should experience, but offering the flow of Love to find its resonance for those in challenge that want something different, but do not yet know it is possible. You’re holding that energetic resonance that positive change is possible. It’s more powerful than we give it credit since we don’t get to see immediate correlations and response. There are the external actions of your own behaviors. From a smile that uplifts, to participating with charities that call your heart. From connecting with people, to holding healthy boundaries that teach respect through action. You have everything you need within. Follow your heart as to what is appropriate for your path. These powerful times are calling you to participate, choose, and create. These aren’t the easiest of times. The pace is fast, consistent, and intense—but it is wonderfully supportive of your focus toward the new. We have some potent eclipses and the equinox that offers balance as we move into Libra. Your work is to choose in ways that balance your Self-Love, which also supports All Life. When choices are truly coming from Love, even in a moment of “no,” they offer a win-win solution for Life. In September, we are supported to change through a powerful influx of Light that stimulates your Balanced Choice. Follow your powerful heart and your beautiful mind into greater connection with life. Life wants you to thrive. Hello, Jamye! My native language is portuguese, and I’m having difficulty in translating a part of this text (actually, the standard translation was not enough for me to understand what you mean). When you say “Let’s explain this a little further, because it does not mean that we WILL polarize, it means that if the foundation within is not strong, one has the potential to avoid through polarization. Whereas something may have seemed fine before, if the foundation wasn’t strong, it may become obvious.” Ok, this foundation that you mention refers to the foundation of each one of us? And who/what is this “one” that you mention? And what exactly this “one” can avoid through polarization? In the last sentence, what exactly becames obvious? The foundation’s weakness of what looked fine before? Sorry for my bad English, I hope you understand what I mean! Hi Roberta, I think you’re understanding it rather well, yes it is the foundation within each “one” of us. The “foundation within” is a person’s inner peace, which will remain strong and not seek to avoid a positive or a negative, it will not polarize. But if a person’s “foundation within” is based on control or avoidance, this will become harder to maintain. This is spot on Jamye, I had the discomfort in my forehead and over my right eye all day yesterday. I understood it must be the solar eclipse and upgrades. Thank you so much. Your light language completely hypnotises me ???? Excellent, Marina! I’m glad you are feeling the changes! 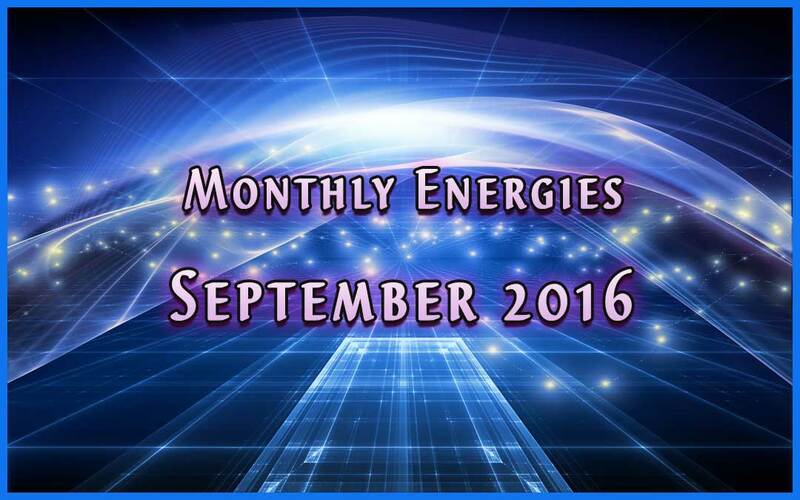 Lovely & powerful September’s energy, Light Language message. Thank you for sharing Your beautiful gift!! Namaste.